Enrico Chirchiello was born in Montreal, Canada and moved to Caserta, Italy at the age of 7 and now resides in London, UK. He has always been passionate about house music and started using turntables and vinyl from the early age of 13. Influenced and inspired by the south american sounds with the latin beats and grooves, you can sometimes hear this when he plays. His aversion is to keep the music underground fusing the sounds of tech house and techno with a pinch of ol’ skool house. In 2011, he moved to London and in the same year, started to get into music production. To date he has released tracks on Various label and entering in the Top 100 Chart Of Beatport. 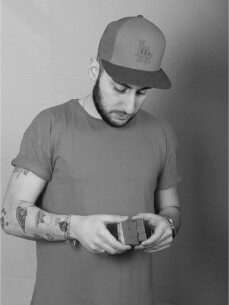 Since 2013, Enrico has been resident Dj at La Divina and Club Wrong in London and also played at Aquarium Club, Pacha, and the Ministry of Sound. He has played worldwide to Mauritius where he was the headliner at Big Willys club in Mauritius, to Amsterdam, Berlin (Fiere remise) Hamburg, Italy and Spain Ibiza with the Opening of Privilage 2016.